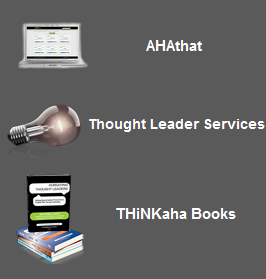 Mom & Dad – I Promise I’ll Get Into College | THiNKaha: Become a recognized expert in your field of expertise. Compelling thought leadership content. The pressures of high school students to get into college has become so competitive; the pressures on the parents have become overwhelming as they want their son or daughter to get into the university of their 1st choice. Is your child really special? Is he/she doing something to make themselves stand out among their competition? Does the student think they are doing enough? How about the parent? This book shares thoughts from both the student and parent, and you will be shocked to learn how each views the monumental process of getting into college. This is the biggest decision you as a parent will collectively make for (with) your child. We asked our daughter one question repeatedly: “Are you trying your hardest in school?” It wasn’t until the beginning of sophomore year of high school that she finally said “yes” and her grades are now reflecting this. We also encourage her to participate in outside activities to beef up her resume. As parents of 3 children, the “middle kid syndrome” did/does exist, and we as Type A parents are equally guilty for at times comparing her to her brother/sister. We have learned that she is who she is –and whether she goes to Harvard, an Ivy, a state university, a local college, a junior college, a 2-year college, or a vocational school– we just want her to be happy and do her best. Yes, some children choose not to attend university, but the majority of children do want to attend a 4-year university and this book is for this audience.e Aha Amplifier and easily share Lynnea’s quotes on Twitter, Facebook, LinkedIn, and Google+. Mom & Dad – I Promise I’ll Get Into College is part of the THiNKaha series, whose slim and handy books contain 140 well-thought-out AHAmessages. 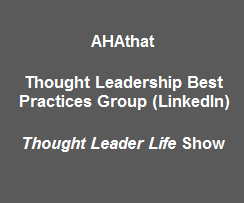 Increase your online influence by picking up AHAthat and easily share quotes from this book on Twitter, Facebook, LinkedIn, and Google+. the University of Michigan and a younger brother, Andrew, in grammar school. Lexi loves being involved in various school activities to help her school become a better environment for the students both academically and socially. She partakes in the school’s “leadership organization” and has been a class officer in the student government so that she can interact with the faculty as much as possible to help improve school spirit and represent the student body. Her true passion is the friendships she has built over the years through school as well as the friends she has made in summer camp for the past 10 years. She also enjoys playing tennis and working out in the gym. She has spent the past three years working every weekend with special needs children and has been involved with the Israeli Tennis Centers Foundation which helps less fortunate “at risk” children in Israel learn life skills and become educated, all while enjoying the sport of tennis. Lexi enjoys watching all sports and currently is interested in majoring in journalism and eventually pursuing a career in sports broadcasting after college. Jeff Shavitz is a successful entrepreneur whose passion and purpose for creating “his life” was the driving force behind leaving his lucrative position with Lehman Brothers to enter the world of entrepreneurship. After successfully selling his payment processing company, Jeff started TrafficJamming, a virtual membership group comprised of different business services created for independent business owners and entrepreneurs to help grow their companies. Author of four other books including number-one Amazon-bestseller Size Doesn’t Matter—Why Small Business Is BIG Business, Jeff actively participates in business, civic, and philanthropic organizations, including the Young Presidents’ Organization. He graduated from Tufts University and spent one semester at the London School of Economics. He is married with three children, and besides family, health, and world peace, his selfish goal is to play the 100 top golf courses in the world! To learn more about Jeff and his business, visit www.trafficjamming.com.